The Airspy Mini is a software defined radio with a tuning range of 24 MHz to 1800 MHz, 12-bit ADC and up to 6 MHz of bandwidth. It usually costs $99 USD and is the younger brother of the $149 USD Airspy R2. Currently the manufacturer iTead is running a Christmas sale on the Airspy Mini. The sale price is $80 USD, which is a 19% saving. To get the sale price you need to click on the “Get coupon code here” link and then share the promotion to your Facebook, Twitter or LinkedIn account. Update: They have given us a special blog coupon code “AS-RTLSDR-BLOG“. Just use this code at the checkout and it will apply the discount without the need to share. Edit: The blog coupon appears to have stopped working, an alternative one that is still working is “as3“. The sale lasts from December 20, 2016 – January 3, 2017. If you want to see more about the Airspy Mini then see our review here. Our other previous review comparing the Airspy R2 against the SDRplay RSP and HackRF may also be of interest as the Mini’s performance is very similar to the R2. 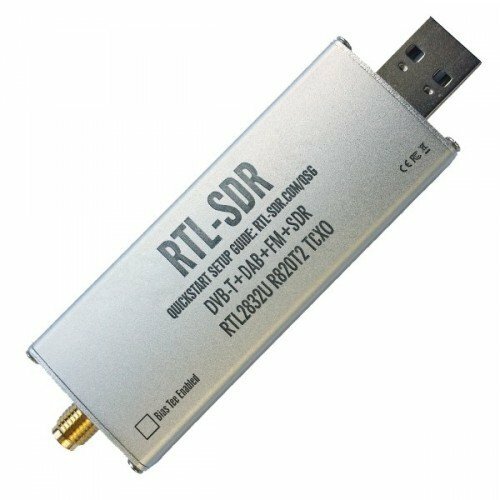 RTL-SDR Blog SDR Unit Sale! As many of you know we have been working on releasing a new revision of our RTL-SDR Blog SDR units for the last few months. We are a few weeks away from being able to release news about this new unit and begin sales. At the moment we are still confirming the features and testing the prototypes so cannot release any news, but if you want a hint at what features might be coming you can take a look at our previous poll asking RTL-SDR users what they wanted in a low cost SDR. The new units may include some of these features/improvements. For now we are selling off our current batch at reduced prices. The dongle only package is reduced from $19.95 to $17.95, and while the dongle + antenna kit is sold out in our international store, we have reduced its price from $24.95 down to $23.95 on our Amazon USA store. You can purchase our units from our store at www.rtl-sdr.com/store. These prices will only last until this batch of stock runs out, and there are only a few hundred units remaining. This special offer also combines with our 5% off deal if you buy more than two items from our store. To celebrate the fourth of July, the US distributor of Airspy is throwing a sale. The prices are the lowest we’ve ever seen for any Airspy product before. Currently the sale price for an Airspy R2 is $149 (vs $199), $99 for Airspy Mini (vs $114) and $39 for the Spyverter. Unfortunately the sale only appears to be occurring with the USA distributor, and is not available for international customers. If you’re interested in these products see our previous review on the Airspy R2 vs HackRF vs SDRplay, review of the Airspy Mini, and our review of the SpyVerter. In short the consensus from our reviews is that the Airspy is an excellent product. The Spyverter is also the best upconverter we’ve tried, and is an excellent choice for an upconverter for any other non Airspy SDR, such as an RTL-SDR. And at this price it is even cheaper than most of the alternative options like the ham-it-up.